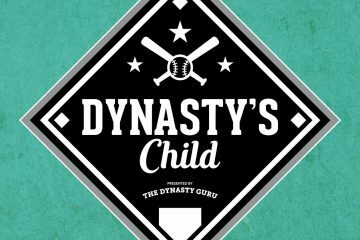 There are nearly a million ways to construct a starting staff for your dynasty league team. However, I cannot stress how important it is (especially for starting pitchers) to know your league’s scoring system inside and out. The rankings you’ll find below are for a standard 5×5 rotisserie league, but more and more leagues are switching over to a points format, which makes pitcher valuations a little trickier. Does your scoring system value overvalue or undervalue strikeouts? Does it give a lot of weight to wins, losses and quality starts, or not? How important is it for a starter to accumulate 225+ innings? The easiest way for you to determine where you can take advantage of your scoring system is by looking at previous season totals and comparing them to standard 5×5 end of season valuations (like the ESPN Player Rater). No matter how sharp the guys in your league are, there’s always room for arbitrage. 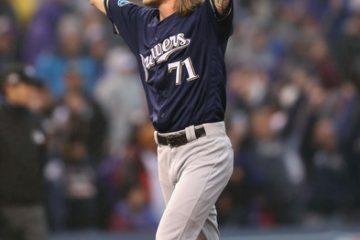 There is a lot of great information out there, when it comes to individual starting pitcher analysis, but nothing more comprehensive than Paul Sporer’s Starting Pitching Guide. If you don’t know what it’s about, check out the link here. And if you do, and haven’t ordered it yet (like I have), you’re starting out at a disadvantage. He’s running a 33% discount off the regular price, which you can get if you order it before my dynasty league rankings are complete on February 14th. Both of these guys are dominant and have yet to reach their 25th birthday. And you don’t need me to tell you how awesome they are. The order doesn’t really matter between these two either, though it’s interesting to note that I always forget Felix is younger than Price. These two should be competing with each other (and the next guy on this list) for the AL Cy Young for a long time – or at least until one of them ends up in the NL. There’s no doubt in my mind that Verlander has been the best pitcher in baseball the last two years. But he’ll be turning 30 before Opening Day and he’s going to start approaching that age of transition for power pitchers. Maybe he’s the Nolan Ryan like outlier and keeps throwing gas into his late 30’s, but it’s no knock to say I’d rather have the four names in front of him in a dynasty format. If you take out 2009, which I’m willing to give him a pass on since it came the year after he threw 252 1/3 innings (including the playoffs), Hamels has been extraordinarily consistent. His ERAs have been: 3.09, 3.06, 2.79 and 3.05. Additionally, he’s only been on the DL once since 2007 (and missed just the minimum). During his first 22 starts in 2012, Darvish only walked two or fewer hitters five times. In his last seven starts, he did it every time out. And in those seven starts, he went 4-1 with a 2.13 ERA, 0.77 WHIP and 59 K in 50 2/3 IP. This is a sign of what’s to come. There is hardware in this guy’s future. I like both of these guys to age gracefully, at least as far as pitchers go, since they are guys with both really good stuff and strong pitchability. They should also have very strong offenses behind them in Los Angeles and St Louis, respectively, which won’t hurt their values. The tools are all there for Moore to a top-shelf fantasy pitcher, he just needs to fine tune his skills on the biggest stage. In his first full season, he struck out nearly a batter per inning and had a 3.81 ERA. What needs a step forward in his command and control. He had a 4.1 BB/9 rate, which is strange when you consider that Moore was above average in first strike percentage and pitches thrown in the zone. His biggest problem was an inability to put away hitters while ahead in the count – a pitcher with his stuff should be able to get hitters to chase at an above-average rate, which he did not in 2012. I expect big things from Moore and you should too. There is a premium to be placed on consistency, but the consistency that Cain provides is not elite enough to crack the top-10. The elbow is certainly a concern, but Sabathia also posted the second best K-BB rate of his career in 2012, despite the slightly down fantasy year (at least for him). But with that said, a C.C. without the elbow concern is still a top-10 guy even in dynasty formats, so I’m not dropping him down too far. I could write about these guys for another five sentences or so, but I’d rather just direct you to an article Paul Sporer wrote talking about the two of them. It’s here, and I really don’t need to add much to it – but I’ll give you a hint, they both are pretty great and getting even better. Lee almost because the first pitcher in major league history to throw over 200 innings in a season, and have more wins above replacement than actual pitcher wins. Like Sabathia before him, Lee also put up the second best K-BB rate of his career, but you wouldn’t know it by looking at his final stat line. I expect a nice bounce back for the 34-year old portsider. Bumgarner gets the edge here, despite his struggles down the stretch in 2012, because he’s more than three years younger than Zimmermann (who will turn 27 during the 2013 season). Bumgarner is one of those guys who just loses it a little too much for a fantasy owner’s comfort level, but he’s nails when he’s on. Zimmermann, on the other hand, is a very steady performer who still has some upside in his strikeout totals. This is the “how lucky do you feel” tier. Cueto is still surviving on what’s left of his magic beans, though his underlying stats improved significantly from 2011 to 2012. Dickey has been a really good pitcher the last three seasons, but it’s all about how much he regresses in the strikeout department. I’m sure you can tell based on this ranking (and the fact that I’ve taken him in both expert mocks I’ve participated in), that I don’t think it regresses much. Sale was fantastic in 2012, but the injury risk is real – otherwise, he’d be in the Gio/Scherzer range. And Halladay is a 35-year old pitcher coming off both a shoulder injury and one of the worst seasons of his career, but if he bounces back, he’s still pretty easily a top-10 SP. Weaver may have some shiny win totals and ERAs, but he’s not a fantasy ace. He’s only had a K/9 greater than 7.8 once and he’s only thrown 200 innings three times. He’s also already 30 years old and just saw his average FB velocity drop down to below 89 MPH for the first time in his career. At some point, he’s going to start giving up more hard contact and HR, even in that ball park. There’s no questioning the arm, it’s a question of what his future will look like. While his value is slightly down in 2013 because it’s the year of the transition from reliever to starter, long-term, his value is affected much less. If the starter experiment doesn’t succeed, we already know how dominant of a closer he can be. And if it does, his potential is nearly off-the-charts. Regardless of how it turns out, I will be watching a TON of it. There are plenty of glowing reports about Latos out there from people who think he is going to take that next step forward and become a fantasy ace. I’m not buying it. His stuff has always been good, but I don’t think he has the mental fortitude to lead a rotation. He has a tendency to melt down when things aren’t going his way, and we’re not exactly talking about a rookie anymore – we’re talking about a starter with 105 starts under his belt. He’s very good, but I’m not expecting this breakout to come. I wrote about why I’m not a big fan of Shields’ move from Tampa to Kansas City in my analysis of the trade here. But in short, I think the move hurts him as his raw performance was overstated in Tampa by good defense and a heavy use of shifts. The Blue Jays are going to have a pretty good rotation this year. Morrow finally finished a season with a BB/9 rate under 3.0 – a big, positive sign in his transformation from a huge arm into a pitcher. If he can bump his strikeouts back up to his previous levels, he could be a dark horse for the Cy Young. There’s no understating how important it was for Josh Johnson to make 31 starts in 2012. His strikeouts will probably take a tick down in the AL East, but as a ground ball pitcher, he shouldn’t be too adversely affected by pitching in Toronto. Harvey debuted in August and showed harder and crisper stuff than had been hinted at in his scouting reports. In his brief major league stint, Harvey averaged 95.5 MPH on his fastball and had whiff rates of more than 30% on all three of his secondary pitches (slider, curve, change). Once Anderson puts in a full season (without getting hurt), he’ll shoot up to the Madison Bumgarner level – as that’s where his skill set lies. But until then, he hovers in this range. He was nothing short of phenomenal returning from Tommy John surgery to go 4-2 with a 2.57 ERA, 1.03 WHIP, 59.8% GB rate and 25 K in 35 IP. Yes, I don’t think Kris Medlen is the second coming of Greg Maddux. So shoot me. In the first half of 2012, C.J. Wilson went 9-5 with a 2.43 ERA, 1.16 WHIP and 88 K in 111 1/3 IP. In the second half of 2012, C.J. Wilson went 4-5 with a 5.54 ERA, 1.57 WHIP and 85 K in 91 IP. In the off-season, Wilson had surgery to remove bone spurs in his elbow – which was eventually revealed to be a factor in his second half failure. I like his chances to bounce back for a nice season in 2013 – especially with an OF that will feature Trout, Bourjos and Hamilton. If his back/hip are healthy, Haren could resume his career trajectory that was interrupted during the 2012 season. If they are not healthy, this could be pretty close to his new level of performance. He’s essentially become a more compressed version of Tim Lincecum. These two NL Central pitchers really came into their own in 2012. Bailey made a full complement of starts and was very solid, especially on the road, where he had a 2.32 ERA and 1.00 WHIP. He also improved as the season went on with a 4.14 ERA and 6.6 K/9 in the first half to a 3.21 ERA and 8.0 K/9 in the second half. Meanwhile, the Shark was great the entire year, except for June (10.41 ERA, 2.27 WHIP). In fact, from July on, he was at his best, accumulating a 2.58 ERA, 1.02 WHIP and 95 K in 87 1/3 IP. Parker did a very strange thing in 2012. During the first half, he had a 2.96 ERA, but pretty terrible peripherals (4.40 xFIP). During the second half, he had a 3.92 ERA, but had really good peripherals (3.55 xFIP). Most of this was due to Parker’s BB/9 rate, which was 4.3 in the first half and 2.1 in the second. This improvement was both real and hidden, which makes Parker a sneaky pickup via trade if his owner isn’t paying close enough attention. And these two pitchers are entering 2013 trying to get their juju back. Lester finished 2012 with a 4.82 ERA, the first time he had finished with an ERA above 3.50 since 2007 – however, an uncharacteristically low strand rate and an uncharacteristically high HR/FB rate played substantial roles in that. In fact, his 3.82 xFIP was not too far above his 3.62 mark from 2011. Garza, on the other hand, is coming back from injury, not poor performance. And at this point, he is still on track for Opening Day. I’m on the cautious side when it comes to Peavy. He was great in 2012, but it was also the first time he’s thrown more than 112 innings since 2008. Maybe his injury is finally behind him, which I truly hope as someone who greatly enjoys watching him pitch, but I’m not paying the price of optimism. Both Fister and Sanchez will continue to feel the fielding inefficiency of the Tigers in 2013. Though hopefully for their sake, the 2014 defensive alignment will include Prince Fielder at DH. Either of these pitchers are high quality options as #4 starters for your dynasty league team – and since they will both pitch this year at age 29, they should remain reasonably high floor starters for the next couple of years. Many of you already know that I’m a big believer in Lance Lynn. The only problem with Lynn is that he’s not quite as guaranteed of a rotation spot as someone you’d expect to see in the top-50. Which is crazy, since he was 12-4 with a 3.10 ERA, 1.21 WHIP and 120 K in his first 19 starts of the year. He wore down a bit in late July and August, which is perfectly reasonable considering he was in the bullpen for all of 2011. If he keeps his rotation spot all season, Lynn can be a top-30 starter in 2013. You can look at the numbers and see either a big rebound for Lincecum or a whole lot of doom and gloom. I lean towards the rebound side, but when push comes to shove, I really have no idea. * To show appreciation for the 2013 Dynasty League Rankings (or anything else on this site), please click on the “Donate” button at the top right hand corner of the homepage. Thanks! I think Lynn should be a lock for a spot now that Carpenter should be out for the year. The Cardinals don’t seem interested in bringing back Lohse, which means there are 2 rotation slots available. I could be wrong, but I don’t see the Cards going with both Miller and Rosenthal over Lynn. I’m surprised not to see Clay Buchholtz and Ian Kennedy not crack the top 50. They seem like better dynasty bets than a few on this list. Is half of the Y.Gallardo commentary missing?